Eschewed as mystery meat, banished to leftover purgatory and viewed as the scourge of school-age children at cafeterias everywhere, meatloaf often gets a bad rap. But here's the thing: meatloaf can be so much more than a lump of ground beef heaved into a pan. Take the classic American comfort food to the next level with these nine tips for how to make meatloaf that's perfect every time. 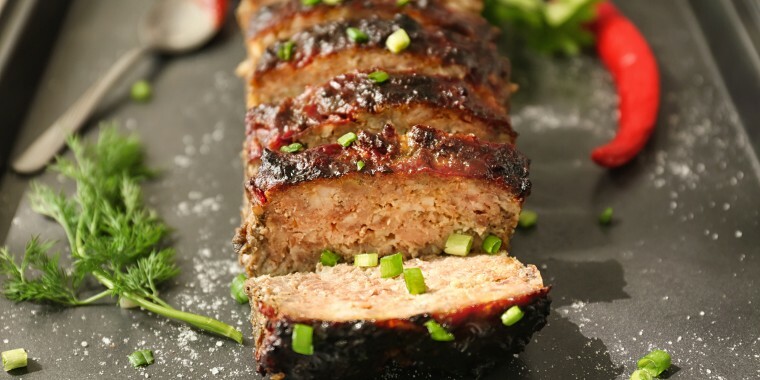 Plus, a bacon-wrapped meatloaf and more meatloaf recipes that are delicious all year long. The leaner the meat, the dryer and grainier the meatloaf. 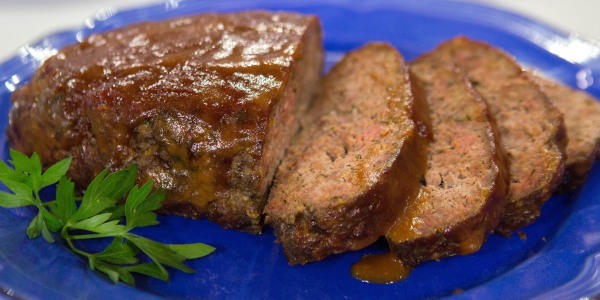 For an all-beef meatloaf, always use a higher-fat cut, at least 15 percent. For a meatloaf made with a leaner beef or turkey, consider mixing in some ground pork and/or veal in order to achieve a moist, tender meatloaf. Chopping up bacon and adding it to the mix is always a great way to add fat. Oh, and covering it in bacon never hurts, either. More about that below. 2. Add moisture at every step. Don't skip adding eggs, ketchup, tomato paste, mustard, Worcestershire, barbecue sauce or some combination of wet seasonings. They don't just add flavor and texture, they help make the meat super juicy. 3. Use soaked crustless bread. For a meatloaf with beef, pork or veal, soak the bread in milk first. For a ground turkey meatloaf, which needs a boost of fat, soak the bread in cream. Lactose-intolerant? Kosher? No problem! Soak the bread in stock and it will turn out well, too. Here's the best method to use to judge if the mixture is moist enough: if it sticks to the bowl, it needs some more liquid. Add the liquid, 1 tablespoon at a time, until the mixture no longer sticks to the bowl. Above all else, don't use packaged breadcrumbs. 4. Sauteed vegetables are key. This one extra step makes a huge difference. Sauteed veggies add flavor, texture and moisture. Try a mirepoix, a fancy French word for a combination of carrots, celery and onion. Cook them, let them cool and then get chopping. Hate chopping by hand? Throw the sauteed vegetables in the food processor to save prep time. Blitz the sauteed carrots first. Then add the sauteed onions and celery, which are softer and take less time to process. Pressing buttons is fun, but be careful not to over process ingredients. 5. Don't play patty cake with the meat. Overmixing will make a meatloaf dry and dense. Start by stirring the wet ingredients together. Then add the sautéed veggies. Now, before starting to mix it all together there like a mad man, just stop. Fold the mirepoix only once into the meat, keeping it loose and light-handed. It may seem like the loaf isn't compact enough, but don't worry, it will firm up quickly in the oven. 6. Taste-test the meat mixture. No, it's not advisable to eat raw meat (although many chefs might use this method). Since the only thing worse than a dry meatloaf is a bland one, take a moment to fry up a tiny bit of the mixture — perhaps the size of a teaspoon — to check it for seasoning. Then it will be clear if it's necessary to pump up the spice or add some herbs. It's better to know now before it's too late in order to correct the seasoning. 7. Give the meatloaf space in the pan. Yes, there is definitely something satisfying about filling a baking pan to the edges with meat goo. Here's the thing: baking meatloaf in a loaf pan will result in a meat brick. When choosing a baking pan, avoid a small loaf pan or baking dish. A tight fit means that the loaf will steam — think school cafeteria meatloaf. Instead, use a sheet pan or a large baking dish and leave some breathing room so the edges will caramelize nicely. Also consider making a few small loaves. Mini meatloaves have more of the "fun," i.e. the browned and glazed crust that forms. They're also easy to freeze for later. If making extra for sandwiches is part of the plan, any extra, unsliced mini meatloaves will stay nice and moist, too. Even a meatloaf made with the most amazing, high-quality meat in the world should have a jazzed up top. Straight ketchup works in a pinch, but chili and barbecue sauces are also great alternatives. Try spiking ketchup with chili powder, Dijon mustard, Worcestershire sauce, apple cider vinegar and dark brown sugar. Take things up a notch by layering on strips of bacon. Just like a roast, it's important to let a meatloaf rest for at least 10 minutes (tented with foil to keep it hot) before slicing. It helps the loaf set up for easier slicing and, most importantly, it locks in those luscious, precious juices. 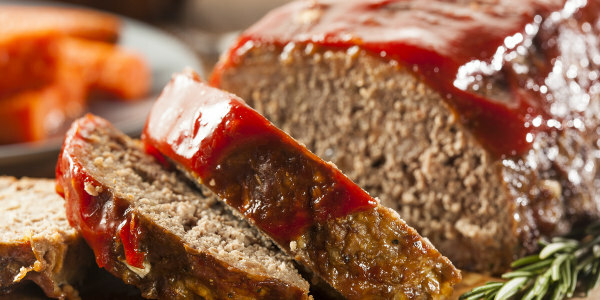 Here are five delicious meatloaf recipes to try. 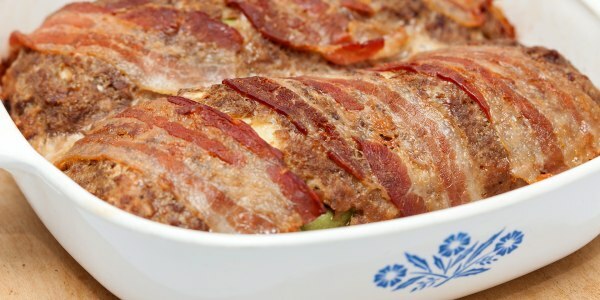 Layering a meatloaf with bacon doesn't just add a glorious smokiness, it also helps to seal in the juices so the meat is extra flavorful. 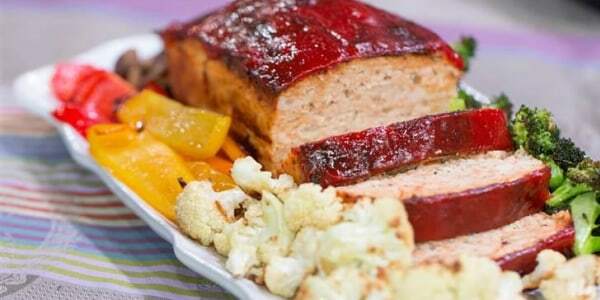 "This will be the meatiest meatloaf you've ever tried," Dr. Oz told TODAY Food. Mushrooms and powdered gelatin make it especially moist. "I especially love the meatier meatloaf because it is still moist like the traditional meatloaf but it is a healthier, leaner version!" 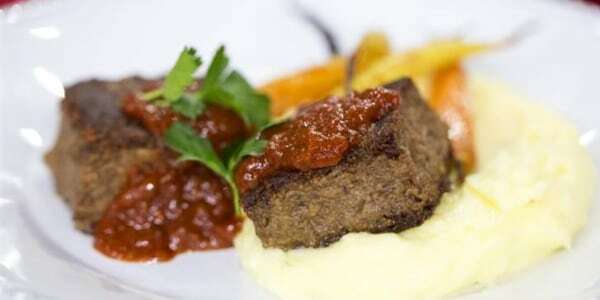 "This recipe takes easy, straightforward meatloaf and gives it a sweet and smoky barbecue twist," chef Ryan Scott told TODAY Food. "Sliders are perfect finger foods for a crowd," cookbook author Grace Parisi told TODAY Food. Instead of making loads of little patties, she likes to make mini meatloaves ahead of time, cut them into slices, slather them with barbecue sauce and broil them. 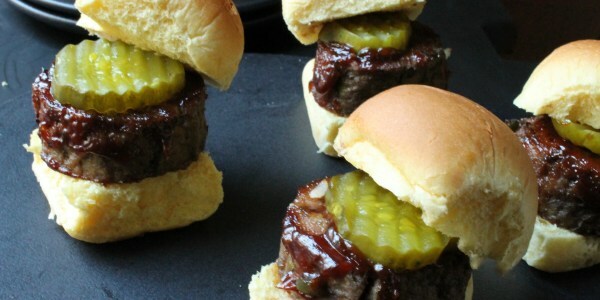 "This trick allows the cook to enjoy more of the party and the guests to enjoy perfectly hot sliders!" Believe it or not, there's no baking involved in this unctuous and impossibly good meatloaf that's made with tender short ribs.